The online home of Paul McNamara: Nurse. Educator. Digital Citizen. 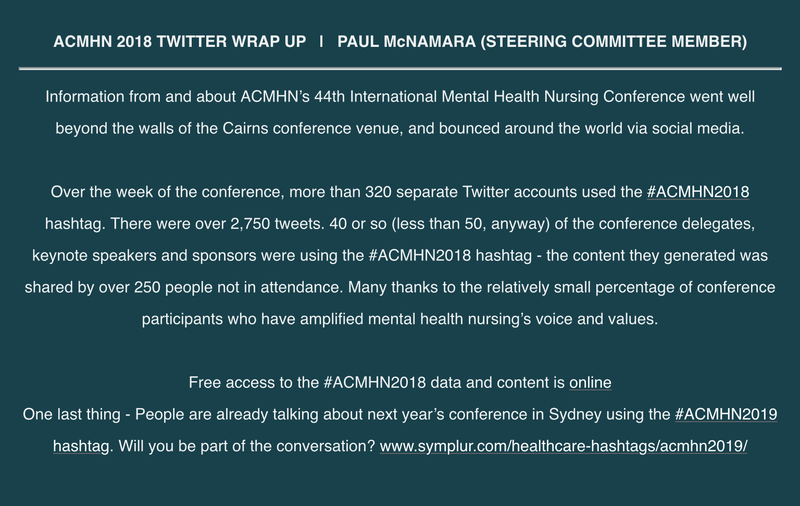 Information from and about ACMHN’s 44th International Mental Health Nursing Conference went well beyond the walls of the Cairns conference venue, and bounced around the world via social media. 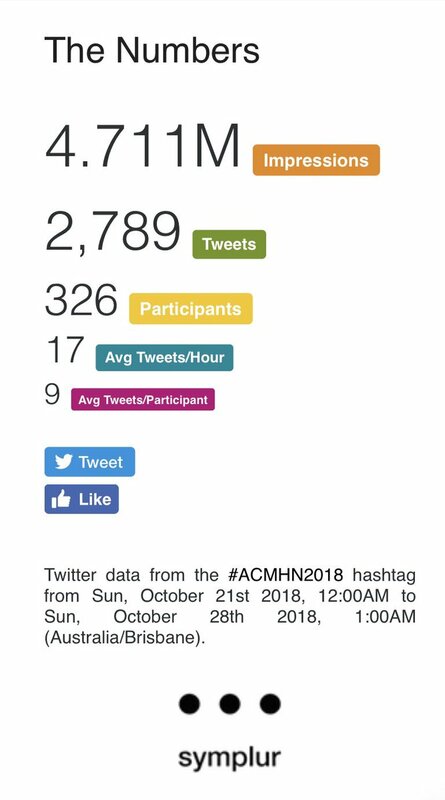 Over the week of the conference more than 320 separate Twitter accounts used the #ACMHN2018 hashtag. There were over 2,750 tweets. 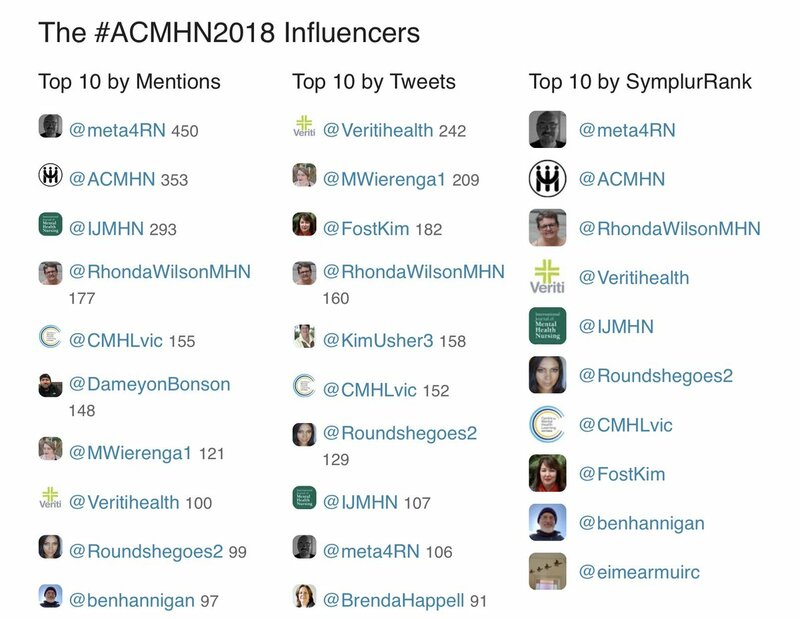 40 or so (less than 50, anyway) of the conference delegates, keynote speakers and sponsors were using the #ACMHN2018 hashtag – the content they generated was shared by over 250 people not in attendance. Many thanks to the relatively small percentage of conference participants who have amplified mental health nursing’s voice and values. One last thing. People are already talking about next year’s conference in Sydney using the #ACMHN2019 hashtag. Will you be part of the conversation? That’s it. I’ve done detailed dissections of conference tweeting previously. This time I’m just dropping the info that was published in the ACMHN “Tuesday Times” on 30/10/18. If you’re after more info about the conference content, I suggest that you browse the #ACMHN2018 tweets via this link, or the conference abstracts via this link. This entry was posted in Blog and tagged #HCSMANZ, #SoMe (Social Media), ACMHN, conference tweeting, mental health, nurse, nurses, nursing, Twitter on 31 October 2018 by Paul McNamara. 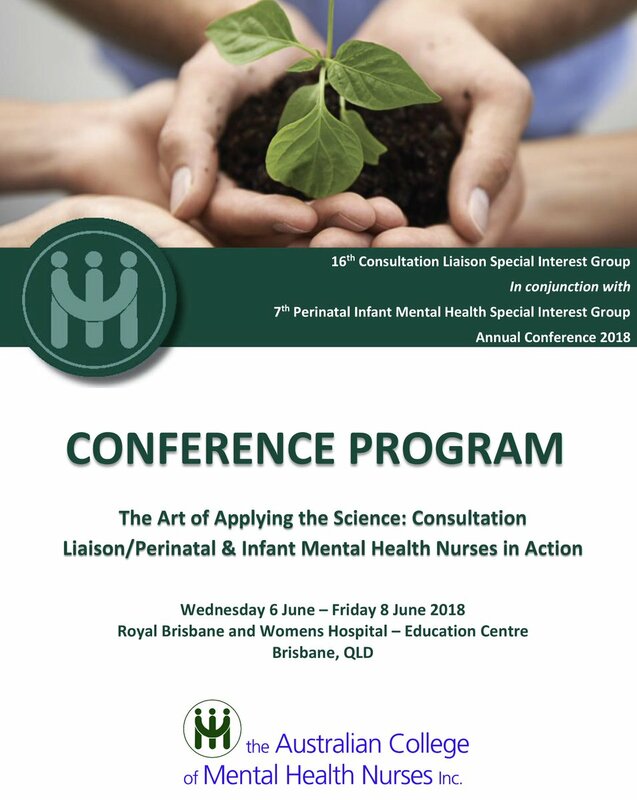 The 16th ACMHN Consultation Liaison Special Interest Group annual conference, held in conjunction with the 7th ACMHN Perinatal Infant Mental Health Special Interest Group annual conference, was held at the Royal Brisbane and Womens Hospital from Wednesday 6 June to Friday 8 June 2018. The theme of the conference was “The Art of Applying the Science: Consultation Liaison and Perinatal & Infant Mental Health Nurses in Action”. 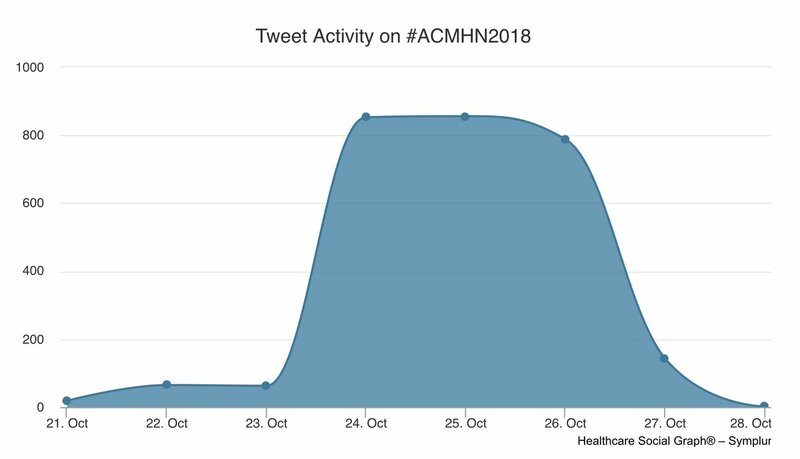 As is typical of healthcare conferences, a conference hashtag was announced; #ACMHN was used on Twitter by six of the fifty-ish conference participants. One of the observations made by Martin Salzmann-Erikson in his paper Mental health nurses’ use of Twitter for professional purposes during conference participation using #ACMHN2016 was that conference participants who do not engage with Twitter may feel that they’re excluded from a “privileged backchannel” of communication. On one hand this is complete nonsense. No conference participants are excluded from Twitter. Those who do not use Twitter/the conference hashtag are just exercising a choice. On the other hand, they may not be using Twitter and/or a conference hashtag simply because they have not been exposed to a reason to do so. 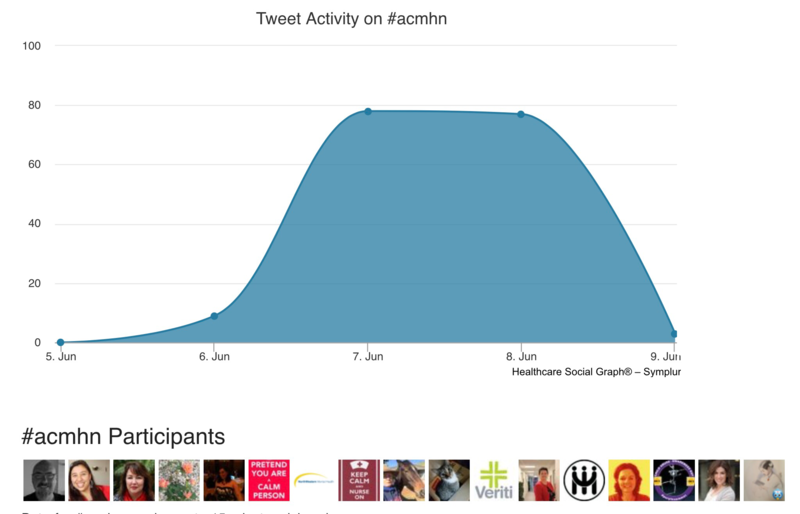 It is with the latter in mind that the Tweets using the #ACMHN hashtag over the course of the conference are collated below. #ACMHN what are YOU doing to create a safe and healthy workplace? Leadership comes from within. #ACMHN #CLSIGconference2018 Chris Dawber – The interpersonal aspect of caring is protective and positive influences the workplace culture. #ACMHN #CLSIGconference2018 CL MH is so much more than just helping to address patients’ symptoms. The relational interpersonal aspect with all involved significantly contributes to effecting change. Lynne Weir interviewed people who had recovered from delirium. In preparation for our individual and corporate memory-loss, can we list all 16 of our conference themes and venues online please? Raised during the @ACMHN Consultation Liaison SIG – #FOAMed/#FOANed is your friend! Perinatal & infant Mental Health has a long science base: How do we apply this knowledge to our craft of Mental Health Nursing? You are a wealth of knowledge, thank you! Looks a if you have some great contributors to your conference. Consensus amongst #ACMHN delegates that we are seeing general hospital patients so must document in the general hospital file. It would be unsafe to do otherwise. Some CL/Perinatal services do not use the mental health data base at all. Saw a very near miss with 2 chart system once. Scary stuff. Ali Thorn (aka @alikitti) ends her presentation advocating for therapeutic optimism! Many thanks to all who shared conference info with the #ACMHN hashtag. Thanks also to those who commented on/interacted with Tweets using the hashtag, but did not use the hashtag themselves (these Tweeps are not listed above). Each of my Tweets that announced a workshop or presentation were pre-scheduled using Hootsuite (ie: I wasn’t as busy Tweeting during the conference as it seems). Collating Tweets on a web page is irritatingly time-consuming. It used to be much quicker and easier (missing you Storify!). The upside of collating Tweets on a web page is that they serve as a record/brief notes of the conference, so if I need to come back to anything it’s all in one easy-to-find place. Hopefully others will find it of interest too. Just in case you skipped-over it: watching the vid attached to Tweet 92 is definitely worth it – a highlight of the conference! That’s it. Thanks for visiting. As always your thoughts and feedback are welcomed in the comments section below. This entry was posted in Blog and tagged #HCSMANZ, #SoMe (Social Media), ACMHN, conference tweeting, consultation liaison, mental health, nurse, nurses, nursing, Perinatal Mental Health, Twitter on 10 June 2018 by Paul McNamara. 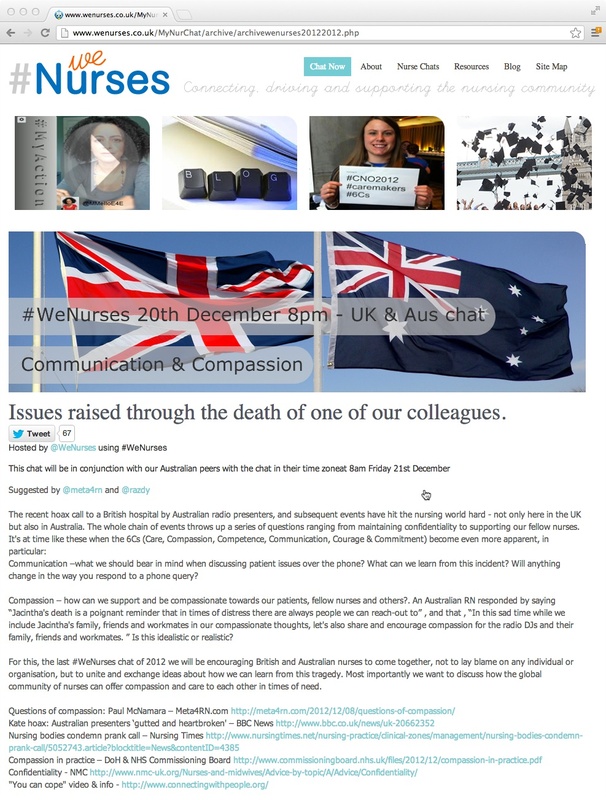 On 21st December 2012 (Cairns time) nurses from the United Kingdom and Australia came together on Twitter using the #WeNurses hashtag. The planned Twitter chat was used to discuss issues raised by the much-publicised death of a nursing colleague – Jacintha Saldanha. This curated version of the Twitter chat demonstrates nurses using social media in a constructive manner, and responding to the issues surrounding Jacintha’s passing with thoughtfulness and grace. This was in sharp contrast to the shrill, insensitive and ill-informed way the matter was discussed elsewhere on social media and in mainstream media in the UK and Australia. I’ve used sub-headings in red to structure the chat as per the themes that emerged. #wenurses Dave in Swansea on this cold damp dark evening. As communication methods diversify then the risk of abuse multiplies. #wenurses Look at how SM has attracted abuse by some users. 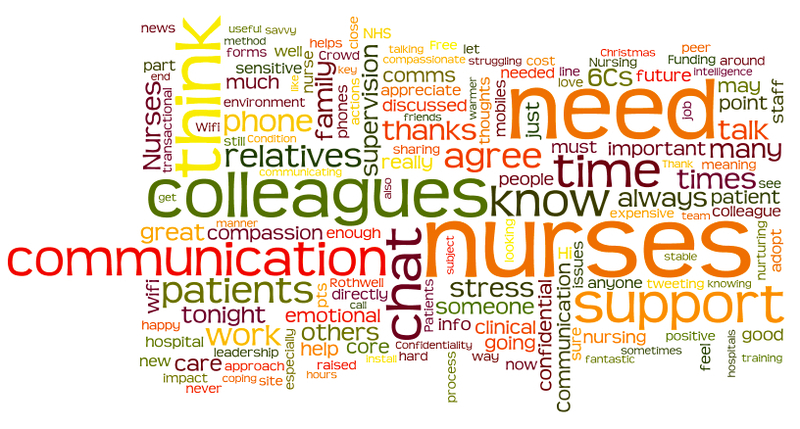 We have discussed many times at #wenurses that future nurses must be communication savvy. Confidentiality is core, and so easily breached. Clinical Supervision (aka Peer Supervision, aka Guided Reflective Practice). The 6Cs (Care, Compassion, Competence, Communication, Courage & Commitment). Integrating Defusing Emotions into Clinical Practice. Unfortunately, Storify is shutting-down on 16 May 2018 and all content will be deleted. I’m using my blog as a place to mimic/save the Storify pages I created and value. As always, please use the comments section below for any feedback/questions. This entry was posted in Blog and tagged #HCSMANZ, #SoMe (Social Media), clinical supervision, communication, emotional intelligence, emotional labour, hospital, mental health, nurse, nurses, nursing, nurturing, secondary trauma, stress reactions, suicide, Twitter on 3 April 2018 by Paul McNamara. For the week Monday 27th January to Sunday 2nd February 2014 I was able to use the @WePublicHealth Twitter handle, thanks to the generosity of Melissa Sweet (aka @croakeyblog). I have a few pet topics that I’d like to chat about. @WePublicHealth Sounds great. I’m all ears. @WePublicHealth thanks for the layman’s parse . Looking forward to the week. In the run-up to #TCYasi crossing the coast the media hype caused heaps of anxiety which social media amplified. I’d like to counter that. 2 This feed is REALLY interesting! Public Health 2.0 uses social media to talk AND listen. At the moment I’m listening. WePublicHealth = WePublicHoliday 🙂 RT @timsenior: I view today’s public holiday as a collective mental health day. We all need them. Right. Coffee on board now, so I feel ready to go. Let’s start with perinatal mental health. Quick translation: perinatal = antenatal + postnatal. The length of the perinatal period differs, depending on who you ask. Generally, in perinatal mental health, we would say planning pregnancy + pregnant + new parent = perinatal period. To add to the confusion, the terms “postnatal” and “postpartum” are used in different ways in different place. Jargon-lovers paradise. I didn’t mean to work in perinatal mental health. Was pretty-much bullied into by Midwives (in a good way). … were being referred to mental health. Low threshold for referral and being embedded in antenatal clinic/maternity ward was the key. So, 13% of women giving birth referred to mental health: pretty close to the incidence of postnatal depression. No coincidence. … after fussing-around with all the checklists and gadgets, the Midwives would put everything down and take a few minutes to just chat. It was during that authentic, gentle enquiry that women disclosed their biggest concerns; referrals were generated if required. So, years later when the National Perinatal Depression Initiative was being rolled-out we were concerned that the human touch would be lost. It seemed that the Edinburgh Postnatal Depression Scale was being valued over the authentic, gentle enquiry of a Midwife. Phatic chat vs empirical data = data wins. But, human emotions are not pieces of data lying around waiting to be collected and collated. … through using their communication skills, their SELF, to engage with people and understand their concerns. She went on to describe the difference between just getting the IV up and running, and being WiTH the patient while doing other tasks. That BEING WITH thing = therapeutic use of self. It’s not exclusive to nurses and midwives of course, but gets overlooked sometimes. Which fits in with the transcultural thing. White males can form therapeutic relationships with Indigenous women, it’s down to 1:1 rapport.
. @eadykat … incredibly important to work alongside the Indigenous Health Workers. For some women, my culture/gender = too big a hurdle. Reference: Ramsden, I. (2002) Cultural Safety: Kawa Whakaruruhau, Massey. On @WePublicHealth @meta4RN has been talking about scales vs empathetic chat for mental health referrals in ante&post natal settings. “Care Goes In. Crap Comes Out.” is a useful model to hold in mind. Hopefully, I can explain (no offence intended, BTW). Parents are bigger, stinger and wiser than their infant. They’re also kind: the give care to the baby without expecting it be reciprocated. @WePublicHealth stinger = stronger, I presume? Of course, babies/infants can’t reciprocate: parent wakes in middle of night to feed baby, never the other way around. In fact, at first, the most tangible thing you get back from bubs is dirty nappies. Care goes in. Crap comes out. And then, if mum/dad is getting into the swing of things, more than just crap gets noticed: eye contact, for starters. Don’t ever get into a staring competition with a baby: s/he will probably beat you. But babies do like sneak in quick breaks from eye contact. It seems like cheating, but it actually serves a purpose to refresh/revitalise. Then, back to the staring again. Sometimes that real intense staring… is this baby trying to hypnotise mum or dad? Nope. Baby is just trying to make sense of stuff. S/he is born with a brain primed for learning. S/he needs experience. … cuddle, use words to soothe etc etc, all become part of the baby’s experience/learning. When care goes in brains get active and firing on all cylinders. Parents are pretty-much neuroscientists, creating baby neural pathways. Care goes in. Parents meet the baby’s needs, not the other way around. Which brings me back to parallel processes thing. Care Goes In. Crap Comes Out. … Why a dyad? Because “there’s no such thing as a baby” (Donald Winnicott). There’s always a baby AND primary caregiver(s). Imagine for a moment that you’re in a busy shopping centre. If you see a 16yo kid alone, are you worried about their safety? How about 13? How about 10? 7? 4? 1? The younger the child the more likely s/he will have their primary caregiver close at hand. Not many independent toddlers down the shops. The reason for that: they need the care to go in and, quite possibly, will need somebody to help them organise the crap coming out. And crap can include the uncomfortable emotions: stuff like fear, anger, confusion, sadness… You know: that stuff that makes us human. Those emotions need to be recognised, understood, organsed. Not avoided. There’s no way to avoid being human if you’re a human baby. So, back to the parallel processes: parent gives care to baby, health professionals give care to parent. Care goes in. Sometimes crap comes out. No biggie. @WePublicHealth good to see the nursing invasion of @WePublicHealth !! @WePublicHealth – isn’t always clear where to send ‘the crap’ from the middle is it! This evening I’ll trickle out some of the links to perinatal-infant mental health resources that I share with clinicians and parents. 24 resources for those interested in perinatal and infant mental health in the preceding tweets. There is a low deepening out in the Coral Sea; it is expected to be named #TCDylan tomorrow. Can use social media to counter-act the hype? @WePublicHealth hope you stay dry and safe and don’t end up as a cyclone reporter! For #TCYasi my perception was that social media amplified the mainstream anxiety-provoking media hype. Can we stop this for #TCDylan ? On with the consultation liaison chat now. Consultation liaison = general hospital mental health. In the UK it’s called liaison psychiatry. General hospital patients are more at risk of experiencing mental health difficulties. Being sick is stressy. Works the other way around too. People who experience long term mental health difficulties are more at risk of getting physically unwell. Consultation Liaison = CL from now on. OK? We don’t always see the person in pyjamas. Sometimes it’s the clinicians just checking on info/asking for advice. There’s more to that “the four Ds”, of course, but they do recur the most. Delirium is not traditionally part of psychiatry’s sphere, but in CL we assess and educate re delirium a fair bit. Delirium in Latin = “lost the way” (or something like that), refers to the confusional state sometimes caused by medical conditions. … predicting who will and will not experience delirium is an inexact science. What conditions cause delirium? Too many to list. Any medical condition or medication and occasionally (so it seems) nothing at all. We think about a third of general hospital patients will experience delirium. ICU and post-op patients most at risk, esp if older person. Related : @meta4RN is omnipresent in the hospital wards. Provides excellent clinical cl service – as well as @WePublicHealth ing this week. Delirium fluctuates. Patient as confused as all hell overnight. Clam and orientated on the ward round. Clam wrong. The patient is never a clam. Hypoactive delirium is probably trickiest. Mrs Smith quietly sits, gives plausible responses to vague question. Her confusion gets missed. Don’t wish hyperactive delirium onto anyone, but at least you don’t get ignored when you’re yelling at 3:00am. Anyone have a good handout for the family? This week the @WePublicHealth reins have been handed to Paul McNamara @meta4RN – good morning from blustery Cairns. Are pamphlets past their use-by date? When pamphlets were introduced alternatives consumer communication tools such as the internet, SMS and QR codes weren’t available. Just wondering if that success was peculiar to the demographic: pregnant woman and new mums are nearly always mobile-savvy.
. @WePublicHealth Am hoping all is ok with you & yours (inc your patients!) in the wild weather in the north? Big day (too big for chatting this evening; will do so tomorrow). I’m Paul McNamara, aka @meta4RN, working in consultation liaison (think “general hospital mental health”) in Cairns. Good weather here now. Tweets re suicide coming up. One of the trickier aspects of working in hospitals is sensitively, safely looking after the person who has survived suicide. It is not unusual for the suicide survivor to be admitted for medical/surgical/nursing care in the general hospital. I have the luxury of spending an hour or so with the person every now and then, but it’s the bedside clinicians who matter most. Continuity. That’s where it gets tricky. Comfort zones, knowledge & skills of people (including clinicians) varies. Well-meaning clinicians sometimes get the interpersonal stuff wrong (don’t we all?). It’s just that the stakes are high at this time. Most responses were supportive of the blog post, but one was attacking, said “nursing is a profession- it’s not about you”. Got me thinking. Of course it is about the patient. I get that. But I also think it is about the clinician – how does s/he manage their inevitable reactions? Reactions could include rescue fantasy, nihilism, avoidance, all manner of stuff. Before we became clinicians we were humans. Traces remain. The clinician’s inevitable emotional response/feelings towards the patient is coined “counter-transference”. Unrecognised counter-transference is the worst. You don’t know what you don’t know. Not knowing your emotional responses = blindspot. … EI or EQ = emotional intelligence. Emotional Intelligence (EI or EQ) is about having the attitude, aptitude and motivation to connect with others. So, when we are nursing the patient who has survived suicide we need to scan our capacity to meet their needs. Physical + emotional. And let’s not pretend we don’t/won’t have an emotional response… of course we will. We also all have blindspots. How to spot a blindspot? How to spot a blindspot? What if you could discuss/reflect-on your work with a trusted, respected colleague for an hour every few weeks? Is that self-indulgent for clinicians? A bit wanky? Is that a case of “it’s not about you”? Yes, really: The Big Blokey Money-Riddled Mining Industry doing a better job nurturing their staff than The Namby Pamby Health Industry! Remember Todd and Brandt the Beaconsfield miners? Remember them emerging from a fortnight underground showered and clean clothes? Built into the infrastructure of mines is “the pit head” – showers and change rooms for the miners BEFORE they leave the mine site. Miners get “pit head time” – paid time to get cleaned up. They shower using the boss’s water, on the boss’s time. It’s part if the deal. Miners get covered in dirt and stuff – they do physical labour. Clinicians get covered in feelings and stuff – they do emotional labour. How many clinicians get “cleaned up” on the boss’s time, like miners do? Nurses having crook backs was considered unavoidable not all that long ago. Then “no lift” policies & procedures came in. Pretty successful. Wonder if it’s time to introduce similar attitude/value to emotional care of clinicians. Q: Why would a service that provides mental health support to the general hospital call itself “Consultation Liaison”? Consultation = discussion with medical/surgical ward clinicians, which sometimes leads to referral. Then triage. Then assessment. Liaison = collaborative decisions (patient/carer/clinicians) regarding clinical care: Education/Information? Brief Therapy? Medication? All? Clinical Handover = making recommendations for future care and/or referral to other services. So, it’s those first two components of the service that give CL it’s clumsy name. If I̶ ̶w̶a̶s̶ ̶g̶o̶d̶ we could start again we would call it “general hospital mental health” – a clearer description, IMHO. … it’s not unusual to be the only person with that role in your hospital or city or health district. So, what to do about it? Way back in the olden days, before Twitter was just something that birds do, there was this magical thing called the “email list”. Email lists seem quaintly old fashioned now. Compared to Twitter other #hcsm they’re a walled garden. With Rage going in the background, I’m reminded if our powerful music and/or individual songs can be. Even in our professional lives. I’ve used “Neighborhood #2 (Laika)” by Arcade Fire in education sessions about schizophrenia even though this is not what the song is about. The other verses allude to a mixture of love, loss, not being able to understand and frustration. Again, common themes from families. … this makes the first part of the song’s refrain “Our mother should have just named you Laika…” especially poignant. Involuntary treatment orders (usually re medication and/or abstinence from alcohol, cannabis etc) are issued with the same sentiment. Protective factors against assault include high standard of patient facilities and sufficient staffing. No surprises there. Interestingly, training in aggression management was not identified as a protective (or risk) factor against assault on nurses or midwives. Staff working in accident & emergency departments, aged care, and mental health settings reported higher levels of assault than other areas. The paper states that it would be foolish to ignore the mounting evidence linking staff shortages and stress, and in turn, assault on staff. Hope the r̶a̶n̶t̶s̶ chats about perinatal mental health, clinical supervision, delirium, CL nursing & workplace violence were of interest. @meta4RN @WePublicHealth what a wonderful week of tweets! Thanks Paul! @croakeyblog @WePublicHealth it’s really hitting its straps now Melissa, congrats on such a successful venture! Paul was great! @croakeyblog @WePublicHealth Amazing stuff – Best tweet flow I have come to!!! @meta4RN @WePublicHealth @croakeyblog Paul! Thank you for your generous and thought provoking discussion this week – really enjoyed it! @meta4RN @WePublicHealth @croakeyblog Well done Paul, it was great. A big shout-out to Melissa Sweet. I am very grateful to Melissa for inviting a mental health nurse to have a stint on @WePublicHealth. Melissa is a rockstar of public health and health social media in Australia. If you’re not familiar with her work read-up about Melissa here, and “croakey“, the social journalism project of which she is the lead editor, here. More info re @WePublicHealth, the rotated curation Twitter account that Melissa coordinates, here. This entry was posted in Blog and tagged #HCSMANZ, #SoMe (Social Media), clinical supervision, consultation liaison, delirium, mental health, nurse, nurses, nursing, Perinatal Mental Health, Twitter on 2 April 2018 by Paul McNamara. On 22/05/13 Joseph Proietto presented the keynote “Obesity: Personal or Social Responsibility?” at the International Council of Nurses 25th Quadrennial Congress. #icnaust2013 Obesity: Sugar industry undermines health education efforts…. #ICNAust2013 Proietto – discussing weight set points – are they genetically determined? Weight is homeostatic ally regulated. #ICNAust2013 Can I reset mine please? #ICNAust2013 do they do hypothalamus replacements yet? Obesity plenary at #ICNAust2013 It’s those bloody hormones again!!!! 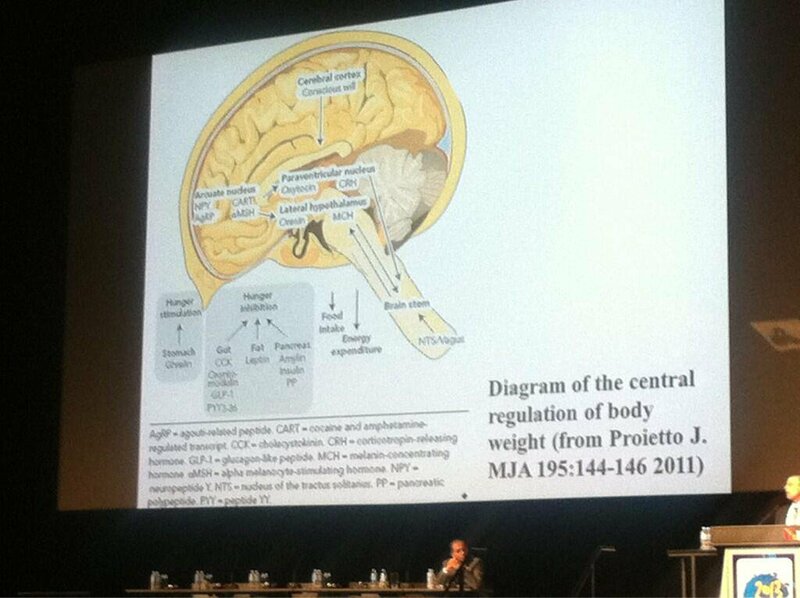 #ICNAust2013 hormones which control hunger and desire to eat INCREASE following weight loss – Proietto. #ICNAust2013 loved Proietto’s presentation – thought provoking and evidenced based – my favourite type of presentation to hear! This entry was posted in Blog and tagged #HCSMANZ, #SoMe (Social Media), conference tweeting, geeky stuff, innovation, nurse, nurses, nursing, obesity, Twitter on 1 April 2018 by Paul McNamara. 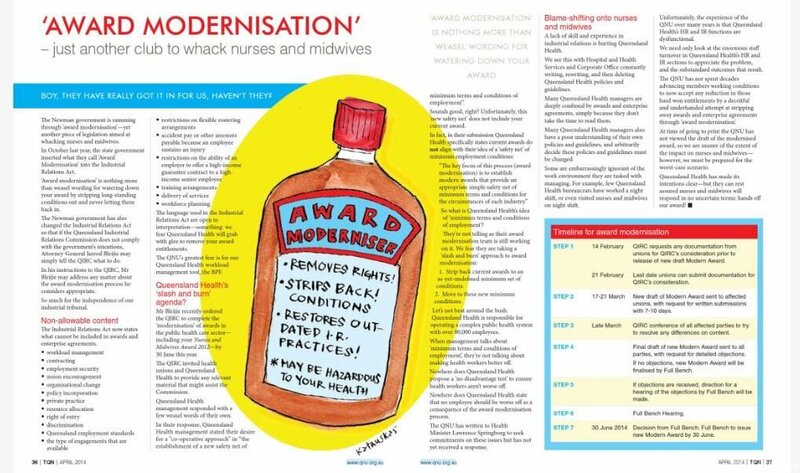 Queensland nurses and midwives are undergoing “award modernisation” (doublespeak much?). Stay tuned #oznurses – we might need your support. @meta4RN @qldnursesunion really good to see some vigilance! @meta4RN @anmfbetterhands The ANFIUWP in WA is the largest union in Western Australia! 2018 update to a 2014 #OzNurses TweetFest:@ANMFTasmania = Australian Nursing, Midwifery and Carer Federation, we are the largest union and professional body for the nursing workforce in Tasmania. This entry was posted in Blog and tagged #HCSMANZ, #SoMe (Social Media), nurse, nurses, nursing, OzNurses, Twitter, WeNurses on 11 March 2018 by Paul McNamara. 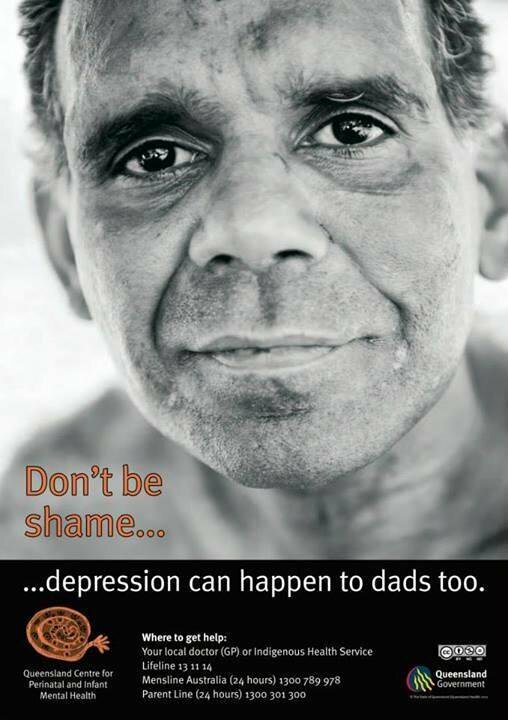 “Stay connected, stay strong… before and after baby” is a really cool DVD featuring Aboriginal and Torres Strait Islander parents. Using social media (YouTube, Facebook, Twitter, Instagram and WordPress) I’ve promoted the video with the goal of improving access to it. @meta4RN Hope you won’t get trouble. @thesismum thanks Anja. Likely that a hostile message will be coming my way soon. Lucky I’m a nurse: I’m used to dealing with hostility. This entry was posted in Blog and tagged #HCSMANZ, #SoMe (Social Media), Facebook, Instagram, mental health, Perinatal Mental Health, postnatal, postpartum, puerperal, Twitter, YouTube on 11 March 2018 by Paul McNamara.